Project Profile Location Transactions Floor Plans New! Fr $1997psf Only. Showflat Closing Soon! 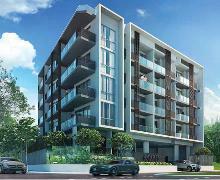 ★New Launch NYON★@12 Amber Freehold! Seaview! Nxt to MRT! RARE FREEHOLD 3 BEDROOMS CONDO DOORSTEP TO MRT STATION IN D15!